Irina was born in St. Petersburg and has been living here all her life. She is a very kind-hearted person. I believe that with Irina you will experience the true Russian hospitality. 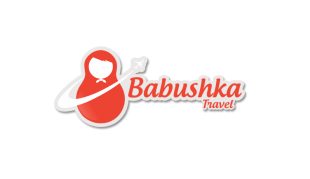 She will help you to explore the Russian culture telling you a lot about Russian customs and traditions in details. And something tells me that at the end of the tour you will speak some Russian language. Irina graduated from the Faculty of Philology and she works as an English teacher to kids at school – so get ready to enrich your Russian! She loves her city and during your private tour will share with you new facts and legends about old imperial St. Petersburg and Soviet time period which you did not know before and show you the most interesting places and hidden gems in her native city. Olesya was born in Central Russia, the most poetic part of the country, where the sky is always blue and the land is fertile, the homeland of great Russian writers Tolstoy and Bunin. Olesya is a globetrotter, and huge lover of art, history and literature. She has a major in Linguistics and Art history – so you can spend hours and hours in her company discovering new things for yourself in art and history, talking about Russian historical events, modern life in Russia, the Romanov family, Dostoevsky, Tolstoy, Russian ballet and music. If you are a fan of arts and history too – you will have great time together!